Ever see something funny in an email that you just have to send to a friend you know is online? There’s a way – hello, Google Hangouts! It’s like Windows Live Messenger but still alive, with functional video and microphone capabilities. And you can use it directly out of your Gmail inbox within Shift without opening another tab. Is it not everything you’ve been looking for and more? Believe me when I say this is quicker and easier than you think. You can contact just about anyone via Google Hangouts if you have their email or phone number. As soon as the person has accepted your invite, you’ll be able to chat away all day. Starting a group hangout isn’t massively different to starting just one conversation – but just in case you are a little rusty since our last tutorial, here’s how to do it. In Shift, there’s also an easy way to access the full version of Hangouts. Note: Starting a meeting via Shift and Google Hangouts only takes seconds. So make sure you’re camera-ready! 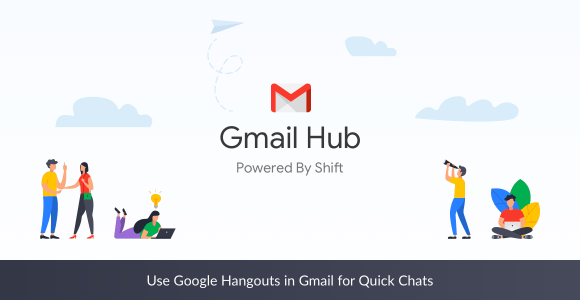 If you are managing multiple Gmail accounts to use Hangouts, make sure to download Shift to save yourself time!